In order to get the most out of your Microsoft System Center 2012 investment you’ll no doubt want to get the Asset Intelligence features of Configuration Manager (SCCM) working. 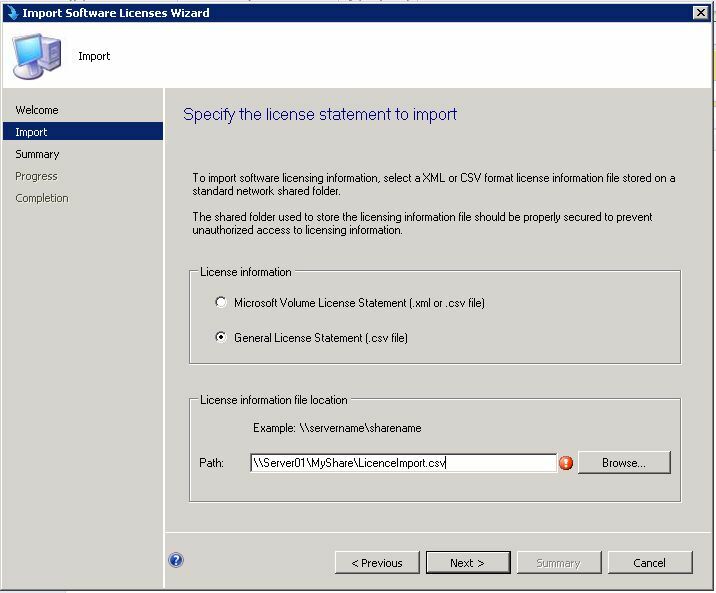 You can add your Microsoft Volume licensing statement into SCCM but what if you want to add in non-Microsoft licences? Now I’m making an assumption here that you’ll already have software inventory enabled on your clients as this is a pre-requisite. If so read on. Firstly you’ll need to run the SCCM 2012 console and browse to Assets and Compliance>Overview>Asset Intelligence>Inventoried Software. 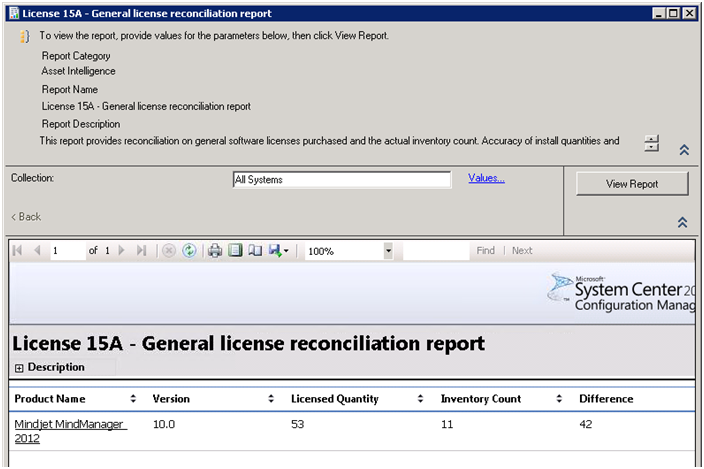 Now in the main section of the window you should perform a search for the software you wish to add to your licence report. Once you have found the matching software you should make a note of the Product Name, Vendor and version number – it is important that you copy this exactly. You now need to create a csv file which looks like this. You must include all the header fields even if you don’t intend to use them. I have included an example attachment which can be found at the bottom of this post. If you would like to add multiple versions or multiple products you can simply add another line to your CSV file with the relevant product information, just remember it has to match exactly what is found in inventoried software. Once you have created your CSV file and are happy with it, save it somewhere accessible by URL from your SCCM console. Now back in SCCM, browse to Assets and Compliance>Overview>Asset Intelligence. Right click Asset Intelligence and select Import Software Licenses. Click Next at the Import Software License Statement. At the confirm the setting screen click Next. 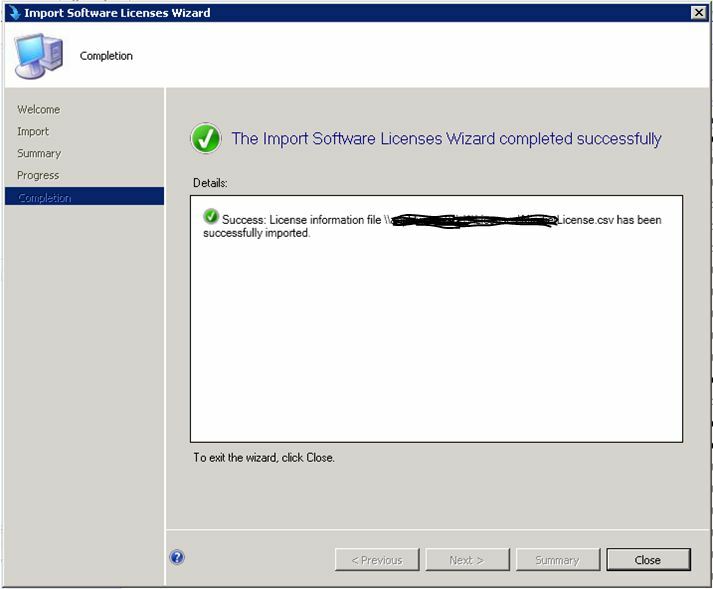 This will now import your licence information into the SCCM database. If the import is successful you will see the Completion screen. Now to ensure your import has worked you should browse to Monitoring>Overview>Reporting>Reports>Asset Intelligence. Select or search for the ‘License 15A – General license reconciliation’ report. Right click the report and click Run. Select your values by clicking the blue link and select your desired collection to report on. Now click the View Report button to see the report. If everything was completed correctly you should see your product name now listed alongside the licensing information for it. Certainly when the article was written, you could. I’m not aware of any significant changes since then but it would need testing to be certain.